Check out the International Trailer for ‘Les Miserables’!!! 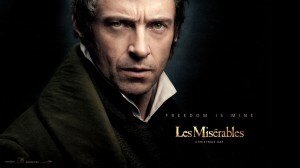 Here is a great trailer for the up coming ‘Les Miserables’ film, which opens on Christmas this year. Plus, you can hear Russell Crowe singing as Javert. Sadly it’s not the ‘Makin’ movies, Makin’ songs, and Foightin’ round the world‘ song. Set against the backdrop of 19th-century France, Les Misérables tells an enthralling story of broken dreams and unrequited love, passion, sacrifice and redemption-a timeless testament to the survival of the human spirit. Jackman plays ex-prisoner Jean Valjean, hunted for decades by the ruthless policeman Javert (Crowe) after he breaks parole. When Valjean agrees to care for factory worker Fantine’s (Hathaway) young daughter, Cosette, their lives change forever. In December 2012, the world’s longest-running musical brings its power to the big screen in Tom Hooper’s sweeping and spectacular interpretation of Victor Hugo’s epic tale. Enjoy the trailer. This entry was posted on Friday, November 9th, 2012 at 11:24 am	and is filed under Film, News. You can follow any responses to this entry through the RSS 2.0 feed. You can skip to the end and leave a response. Pinging is currently not allowed. « Mystery Science Theater 3000: Volume XXV Announced and Detailed!! !